August Home's August Connect provides remote access to August Smart Locks at an affordable cost. Today, you can link to many smart locks on the market using Bluetooth and a mobile app. But if a buyer wants remote access—opening a lock from anywhere through an internet connection—many smart locks need to link to a hub like Insteon Hub or Apple HomeKit, or through a service or connected device. August Home's August Connect is a device that provides this link—a Wi-Fi bridge using both Bluetooth and Wi-Fi protocols that helps you remotely access your smart lock from anywhere via the Internet. August Home lent us a device to see if their claim held true. August Connect is part of the August Smart Home Access Solution, which also includes August Smart Locks, August Smart Keypad and August Doorbell Cam. 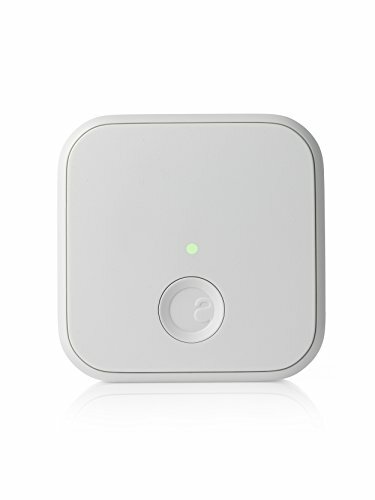 The device lets you access August Lock by connecting to your home's Wi-Fi signal, and receiving commands from the August Home app, such as lock the door. It's that simple. Setup for August Connect is even easier. All you do is unbox the device, then find an outlet that's 15 to 20 feet from your August Smart Lock. That's crucial. If you don't, there could be connection issues, with you locked out of your house. For our testing, we placed the August Connect 16 feet from our door, and the connection was fine. You can also use the August Home app to see how strong your Wi-Fi signal is before starting. Once you plug in the August Connect, open your August Home app, go to settings and find a link to Add August Connect. Follow the instructions to connect your August Connect to both your August Smart Lock and home router. That allows you to control your lock remotely from anywhere with the app. You can also check your Wi-Fi and Bluetooth signals to your August Connect from the app. Just like all of August Home's products, August Connect works with both iOS and Android devices. The device is $79 and can be purchased on August Home's website or through Amazon. August Connect supports 802.11b/g/n (2.4 GHz) Wi-Fi Networks but is only available in a North America plug. As a result, it only supports 100-240V – 50/60Hz 0.1A power range. Who can use August Connect besides today's smart homeowners? Anyone who owns an August Smart Lock and wants to be able to control their lock from anywhere. If you own a rental property or are renting via Airbnb, and have August Smart Locks and Wi-Fi installed, August Connect is a good option for remote access. Note, however, that August Connect works with just one August Smart Lock at a time. If your first connected device in your smart home is an August Smart Lock—and you want to extend your lock's remote access to beyond your home—August Connect is a simple and affordable option. If you already own an August Smart Lock and are controlling the device through a third-party hub, like Apple HomeKit or Samsung SmartThings, you won't need it. You already have the same access and controls through your third-party hub. Overall, we like the option August Home provides of remote access to its smart lock. We just wish there was an international version for our friends, as we are sure first time smart lock buyers overseas would like this option too. Pros: Easy setup, price, wi-fi bridge, Bluetooth. Cons: Works only with August Smart Locks, needs to be close to smart lock, US only.